The SOMMER parcel box trailer has been developed especially for the sector – providing a quick and safe handling of packages. 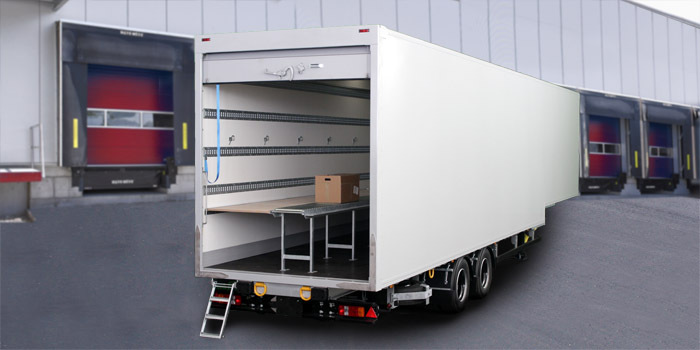 Above the - wall version dependent – lashing rails installed on the side walls or recessed into the side wall, the parcel trailer is equipped with the SOMMER Cargo Security System “SALS” - embedded in the floor. The adapters are lashing at any point of the vehicle, ensuring high cargo safety opportunities. The special cargo nets are available upon request. 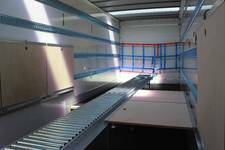 The interior with roller table and folding shelves offers ideal conditions for the rapid handling of parcels. 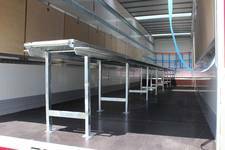 The optional roller shutter is easy to use and supports quick loading on the ramp. The specially designed roller table has wide supports for the foldable wooden shelves. 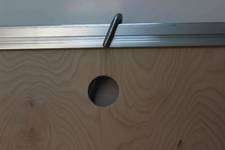 Wooden shelves can be safely attached to the wall when folded. 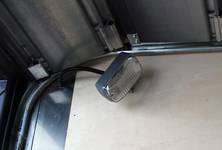 A bright interior lighting package is part of the equipment of a parcel service box trailer.